Prichardsix: Andrew Xiao Tong- My little man! 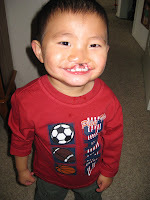 Andrew Xiao Tong- My little man! He has a new smile!